Next Wave will host a variety of guest speakers who will provide further industry insights and deep dives on a number of interesting topics for investors from Bitcoin to Food Safety. Our first speaker was Carol Van Cleef, with BakerHostetler, a pragmatic and forward-thinking advocate in the regulation of fintech and regtech, including emerging and alternative payments systems, prepaid access, mobile payments, virtual currencies, and blockchain/ledger technologies. If you are trying to wrap your head around blockchain or Bitcoin, you should join us. She will discuss the promise and perils of investing in Blockchain companies and in ICOs or TGEs (Token Generating Events), as well as what (real) digital currencies are and the opportunities there. Click here to download the webinar. (You will need to download it to see past the first 15 minutes). 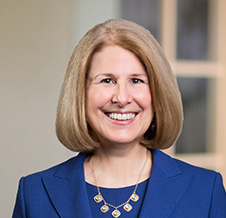 Carol Van Cleef provides legal and strategic advice to depository institutions, money services businesses, other financial services companies, and FinTech firms on federal and state regulatory, compliance and enforcement matters. She advises a range of clients, from startup businesses to publicly traded companies, private equity funds and other entities in understanding the Bank Secrecy Act (BSA), USA Patriot Act, sanctions regulations, and state money transmitter licensing statutes; creating, evaluating and enhancing anti-money laundering and OFAC compliance programs; and addressing consumer protection issues including privacy and data security and unfair, abusive and deceptive practices. Carol is a pragmatic and forward-thinking advocate in the regulation of fintech and regtech, including emerging and alternative payments systems, prepaid access, mobile payments, virtual currencies, and blockchain/ledger technologies. A Certified Anti-Money Laundering Specialist (CAMS)*, Carol created a series of AML compliance training programs sponsored by the Conference of State Bank Supervisors and attended by regulators from 45 states and representatives of domestic and foreign banks, securities firms, money services businesses and other entities. She also developed and leads an AML Compliance Bootcamp for Virtual Currency and Blockchain Technology Companies, which has been attended by the virtual currency community and bankers. She participates in the Uniform Law Commission’s efforts to draft a model legal code for virtual currencies.